Kevin began his culinary journey the moment he was born. His father was a Chef/Owner of a restaurant, while his grandmother owned a floating seafood restaurant. When Kevin turned 14, he started working as a restaurant helpmate. As he watched the way the Chefs and the cooks worked, he fell in love with cooking. 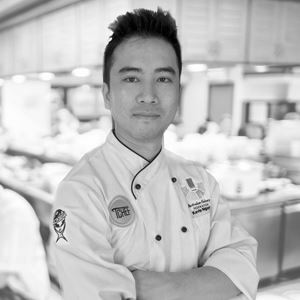 Kevin started his professional career at age 16, by training in Western-Asian Professional Cookery at Viet Giao Tourism College. 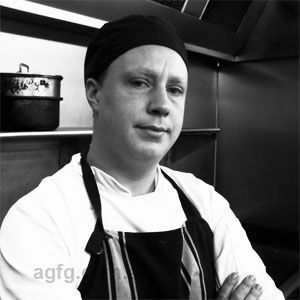 He started his first job as a Commis Chef at Sofitel. For over 12 years he has worked at various resorts, casinos and restaurants in many regions overseas and Australia. In 2011, Kevin met Michelin starred Chef, David Thai and his team at the opening of An Lam Ninh Bay Villas; following which he was employed at Galaxy Macau, in the team managed by Chef, John Sloane. After leaving Macau, Kevin moved to Australia to work at as many restaurants as he could. Most recently, Kevin ran the kitchen for Shannon Bennett at the venue, Jardin Tan in the Royal Botanic Gardens Victoria. "I met Chef Luke Nguyen in Nha Trang in early 2011. He is another person whose company, along with Chef David Thai, grew my passion for Vietnamese Cuisine. It is the conversation that I had with Luke and his parents which marked the change in my young self. Since then, I set my goals, push myself harder and work my way up. Today, I’m here in Australia sharing my Vietnamese heritage with the world.” - Kevin Nguyen. Committee member of Australian Culinary Federation. 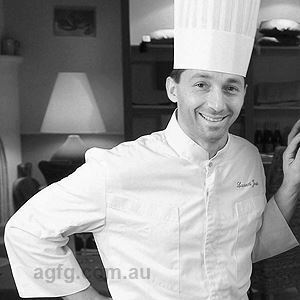 Committee member of Australian Institute of Technical Chef. Member of Les Toques Blanches. Member of Les Disciples d'Escoffier. Yes, I have! Since I was born into a family with a strong background in cooking. I always wanted to be a Chef and run a restaurant like my Father and Grandmother. 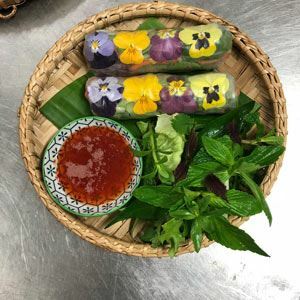 Innovative Vietnamese cuisine with a French influence, with a focus on fresh and quality, local produce. There are 5 flavours which make up my balanced cooking style. Fermented pickled pork belly (pickled in fish sauce syrup). Chef Luke Nguyen inspired me to have a greater love for Vietnamese food and to move to Australia. Chef David Thai inspired my love for French cuisine, to love and handle ingredients well, in particular, the way he does to a Michelin level. Chef Shannon Bennet inspired me to apply my Vietnamese cooking with French techniques on Australian produce. This business in my brainchild, my first restaurant! The location is just great as it’s been a restaurant for more than 30 years, and has been a Vietnamese restaurant almost 20 of those years. It’s close to the beach, similar to my house in Cau Da Village, Nha Trang, Vietnam. 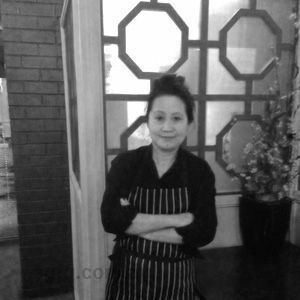 This business epitomises all of my enthusiasm since I began my cooking journey, not just the food, but about the Vietnamese culture as well. Fish sauce! You can never cook Vietnamese food without fish sauce! Deep fried ice cream with salted caramel, tapioca meringues, home grown viola and topped with a little flamed sugar (the soul of Feu’s dessert). Lamb ribs and Feu’s secret sticky sauce (3 stage cook, minimum 12-hour process). Beef Wagyu shin shank cooked in a homemade Vietnamese yellow curry (12 hours slow cooked in the oven).